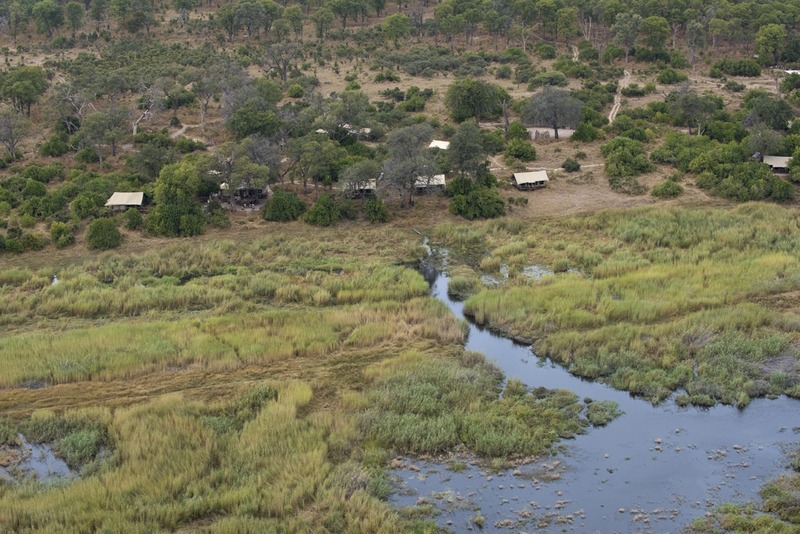 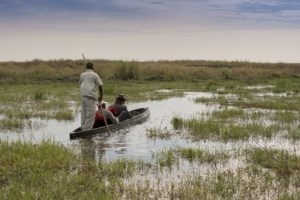 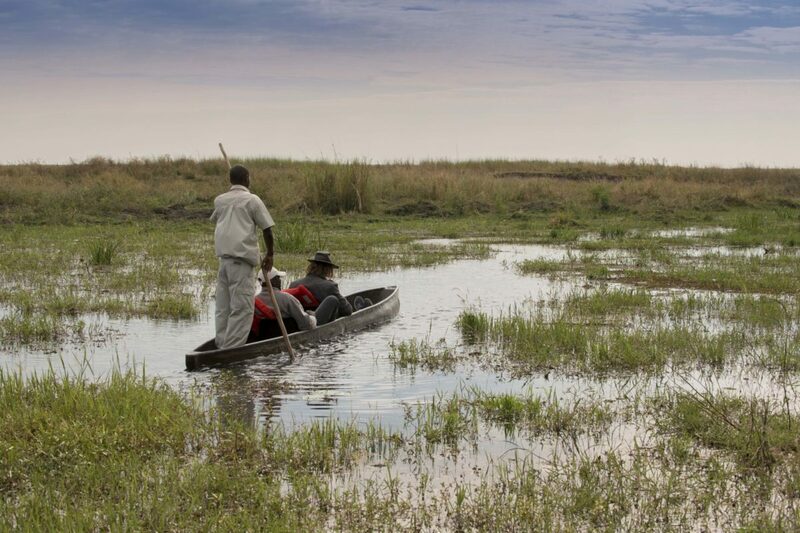 "A small camp with a big view"
The Linyanti river and swamp becomes the only major water source in a large region in the drier months of the year, making for incredible density of wildlife populations along its banks. 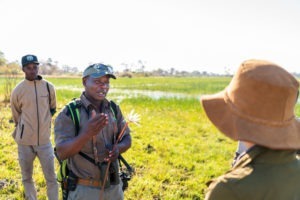 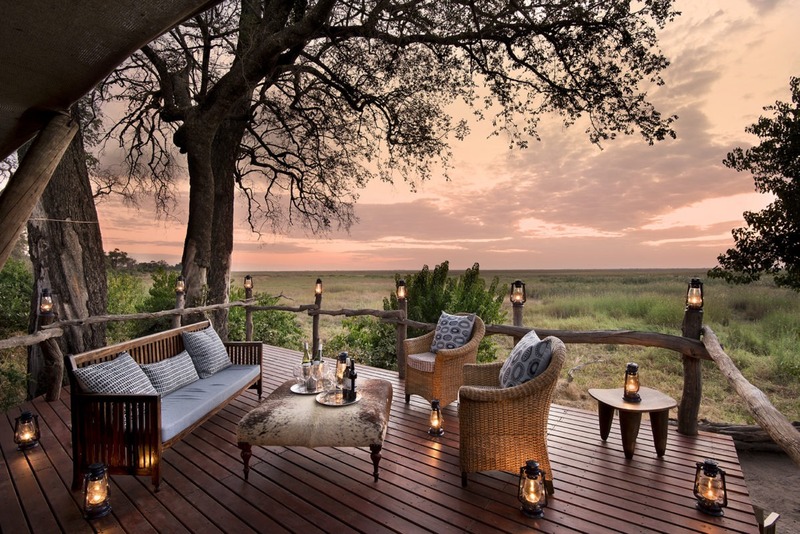 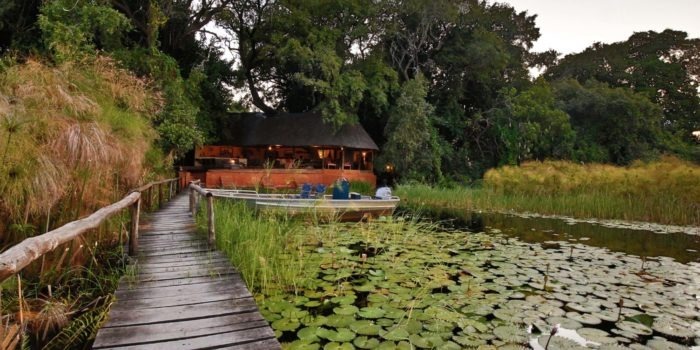 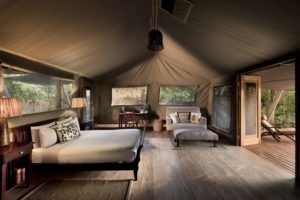 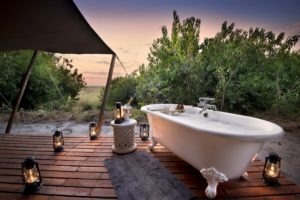 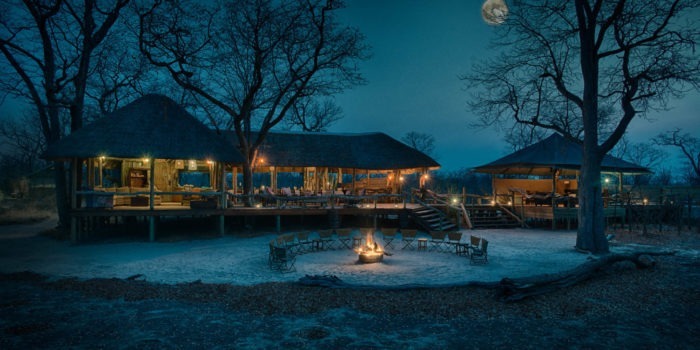 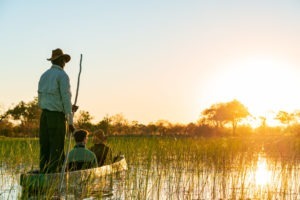 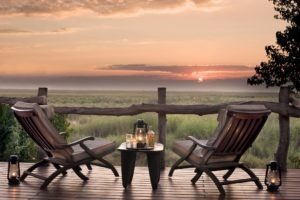 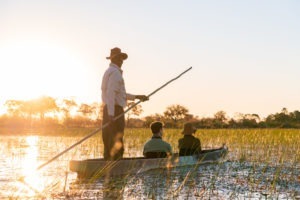 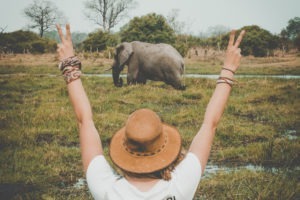 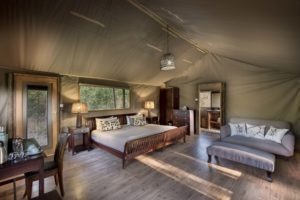 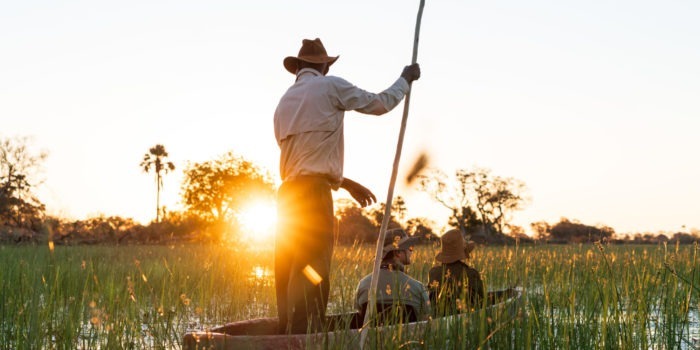 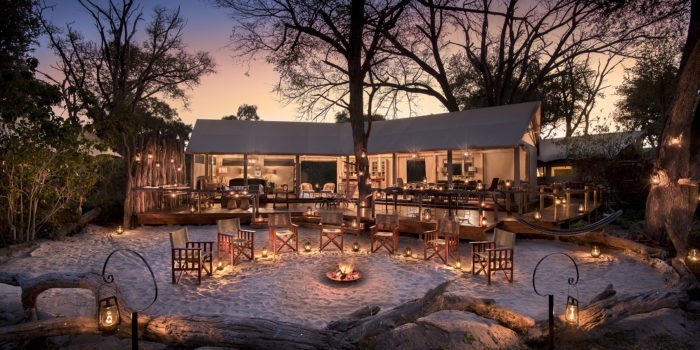 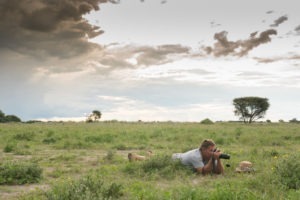 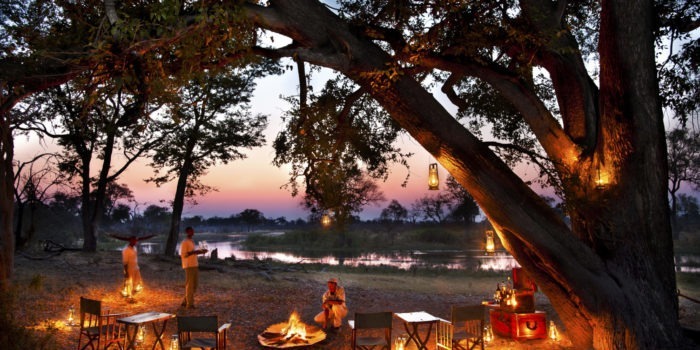 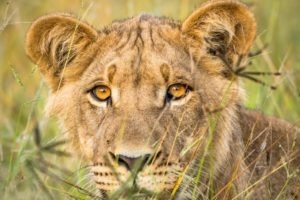 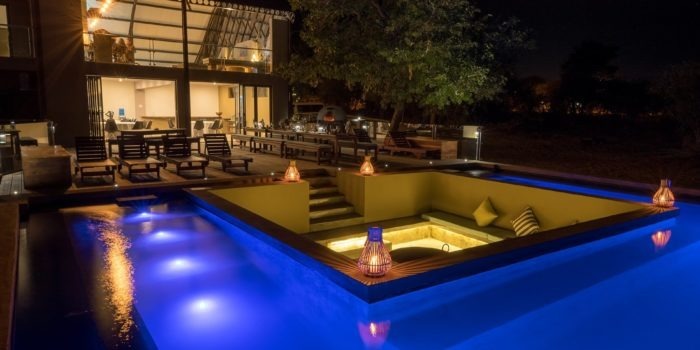 For this reason, the Linyanti swamp is a sought-after safari destination and with Linyanti Bush Camp being one of the more affordable yet stylish and authentic camps in the region, it was a natural fit for us. 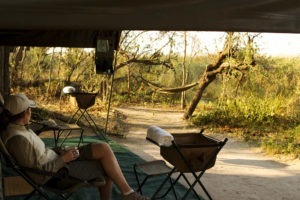 The camp has but 6 guest tents which are well spaced from one another and all offer large vistas of the famous swamp. 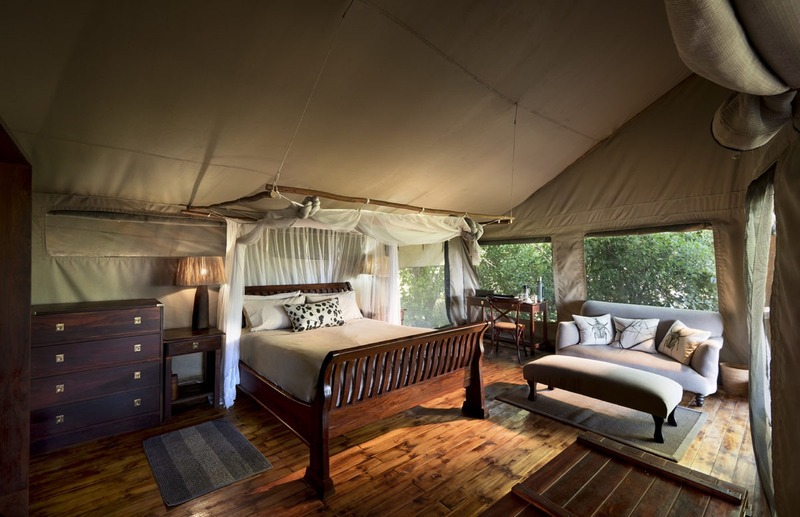 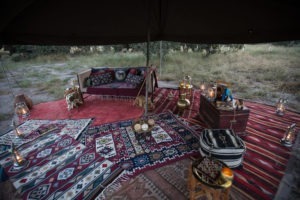 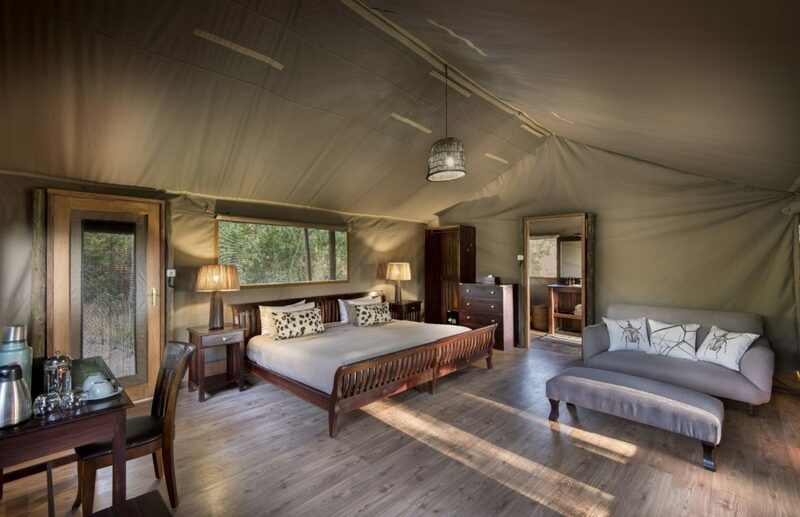 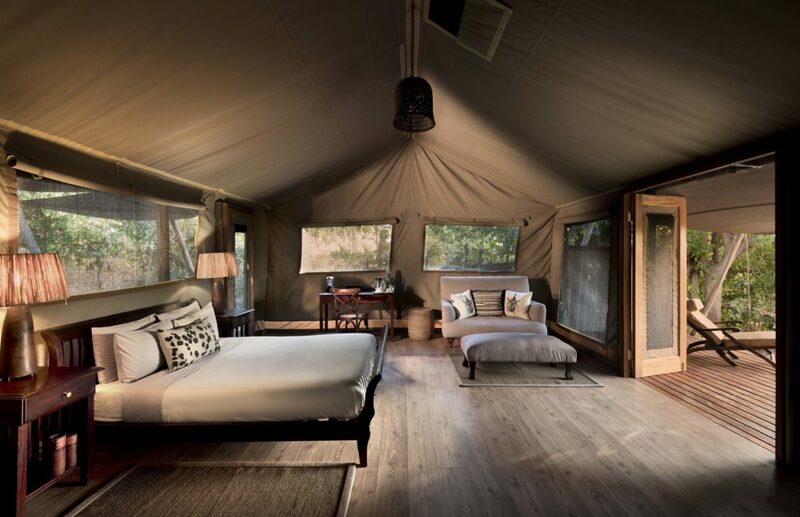 The spacious tents were designed with quality in mind yet still retain the simplicity of a true bush-camp. 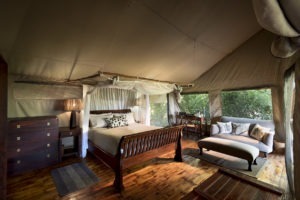 The bed configuration for each tent is either kingsize or has two twins. Each having their own en-suite bathroom with running hot and cold water as well as a flush toilet. 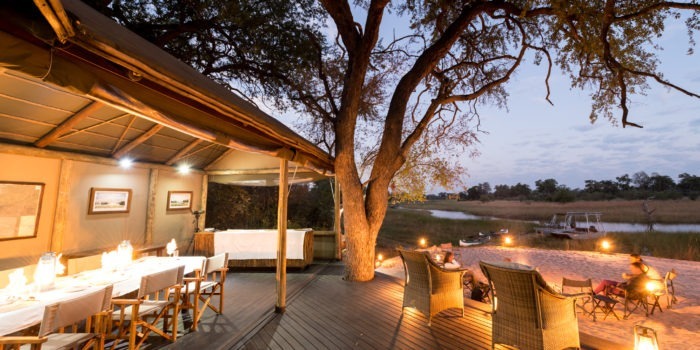 There is plenty of seating area including a veranda from where you can soak-up the view and the passing’s of wildlife. 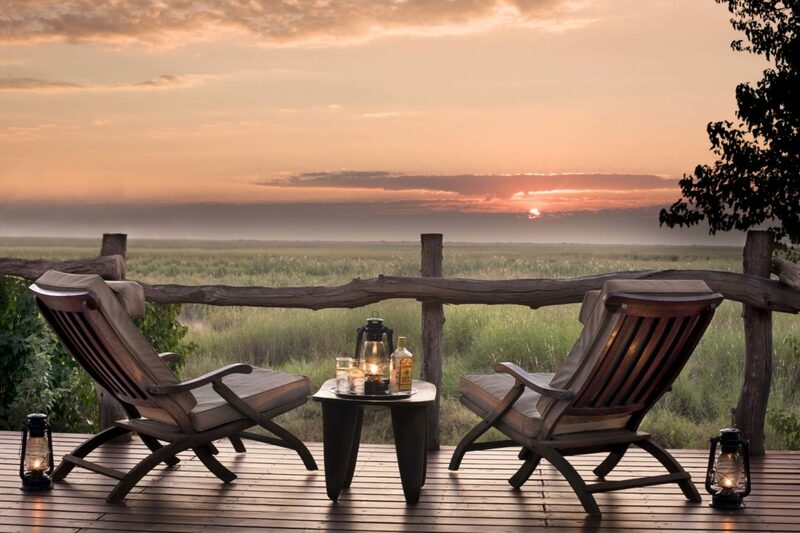 The main deck area consists of a large lounge with an impressive book collection, a well stoked bar, dining area and a large firepit overlooking the flood plains. 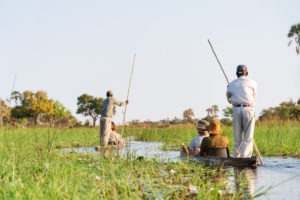 Activities are diverse but are subject to the seasonal changes and the month of travel. 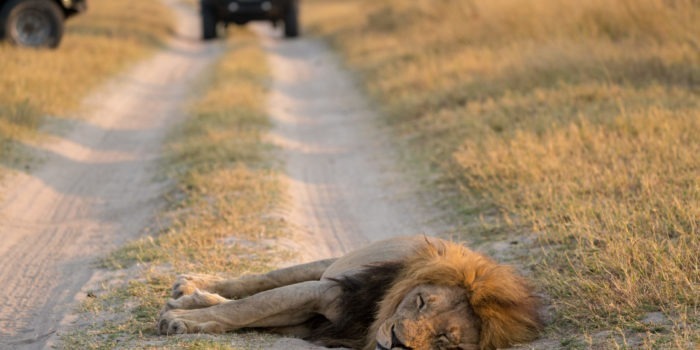 Daily game drives are on offer which can be supplemented with a walking safari, mokoro or boat rides (water levels permitting) and even scenic helicopter flips (highly recommended). 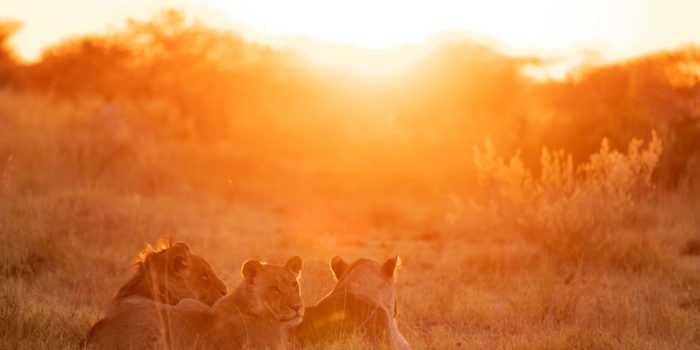 The afternoon drives also often venture into the evening allowing for a glimpse of the nocturnal animals as they start becoming active. 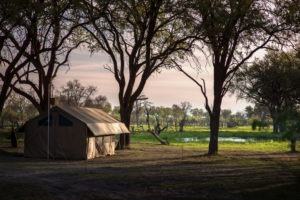 Small and intimate camp with only 6 tents. 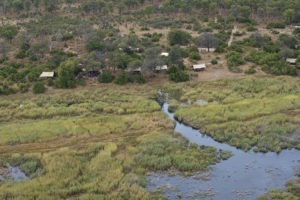 Many kilometers of private Linyanti river frontage to explore. 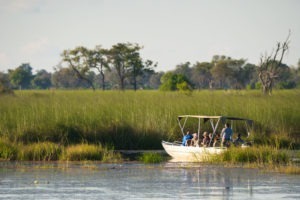 A wide variety of activities on offer including scenic helicopter flights. 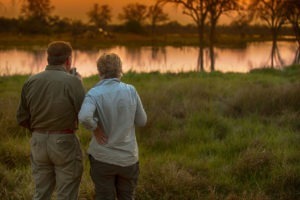 Exceptional guides with in-depth knowledge of the region. 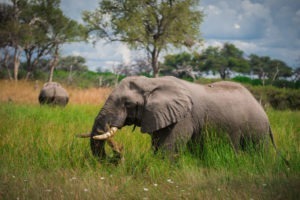 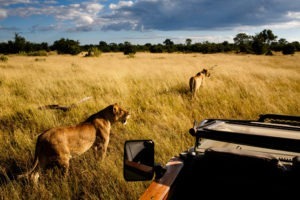 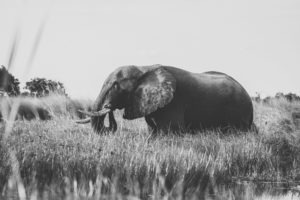 High concentrations of wildlife in the dry season, particularly of elephants and buffaloes.